The world’s largest music streaming service, Spotify seeks music rights which are more disparate in India than most other countries. Los Angeles: The world’s largest music streaming service has secured deals with many of the major rights holders in India over the past few months, clearing one of its final hurdles to entering the country of 1.3 billion people, according to people familiar with the pacts. The expansion provides a major test of Spotify’s ability to lure customers in what it calls the “rest of world” markets — a group that spans from Australia and Japan to Israel and South Africa. Though Spotify is the largest paid streaming service globally, it is largely limited to three regions: North America, Latin America and Europe. Those areas, which account for less than a third of the world’s population, contribute more than 90 percent of Spotify’s paying customers. India is one of the fastest-growing music markets. The Stockholm-based company had about 8 million subscribers in the “rest of world” markets at the end of September. India may help change that. Spotify itself has told partners that it plans to launch in India in the first quarter of 2019, but hasn’t committed publicly to a timetable and declined to comment on it for this story. “It is a high-growth area,” said Vivek Paul, a digital media consultant in Mumbai who used to work at Sony Corp. Faster growth in Asia also would help Spotify placate a restless investor base. The company’s stock has dropped about 30 percent since its peak in July — even temporarily slipping below its listing price for the first time. While much of the decline is due to unease with all technology stocks, investors have been underwhelmed by Spotify’s subscriber growth. The company has been laying the groundwork in India for some time. It previously hired a head of communications in the country and poached an executive from a rival service earlier this year. An editor at the company will create playlists of local music before the service’s debut. Spotify’s India campaign has faced some challenges. Bhushan Kumar, the managing director of record label T-Series, confirmed that his company is working with Spotify. “Our deal with them is on,” he said in an interview. 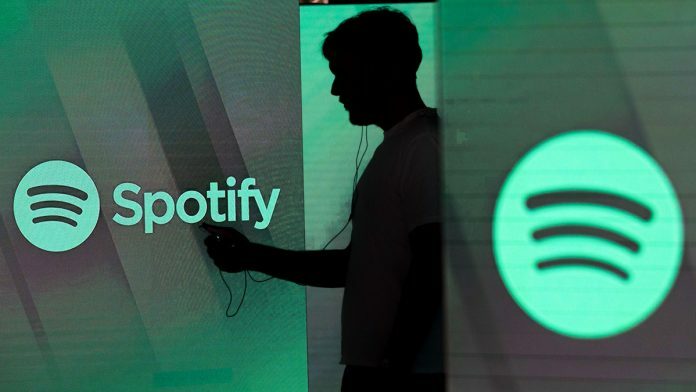 Spotify plans to rely heavily on its free tier to lure new customers and then convert them to paid subscriptions, a strategy that has worked in other markets. But major labels try to rein in Spotify’s use of the free tier, hoping to direct as many customers as possible to the more lucrative paid one. Prospects for growth in paid streaming are being helped as hundreds of millions of Indians have gained access to high-speed Internet on their phones in recent years. The cost of that Internet service has plunged as carriers like Reliance Jio Infocomm Ltd. offer cheap data plans to lure users. As such, music rights are more disparate in India than most other countries. Of the world’s three largest record labels, only one — Sony — has a sizable presence in India. “India specifically is a very fragmented marketplace with lots of different local labels, lots of different local publishers,” Spotify Chief Executive Officer Daniel Ek told analysts in November. Ek’s engineers have their own challenges. Bollywood fans often search for music by the name of the character rather than the actual musician. Spotify is optimized for people to search based on song titles, artists and its own popular playlists, but not for movie characters.